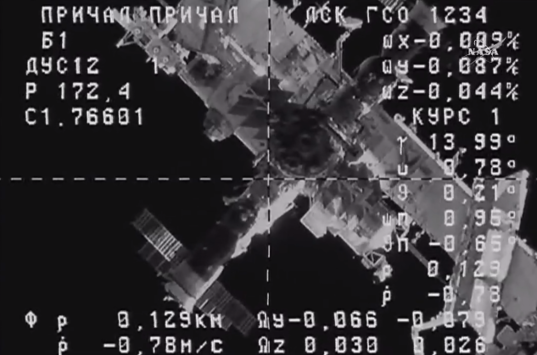 A Russian cargo craft laden with more than three tons of food, fuel and supplies arrived at the International Space Station today. 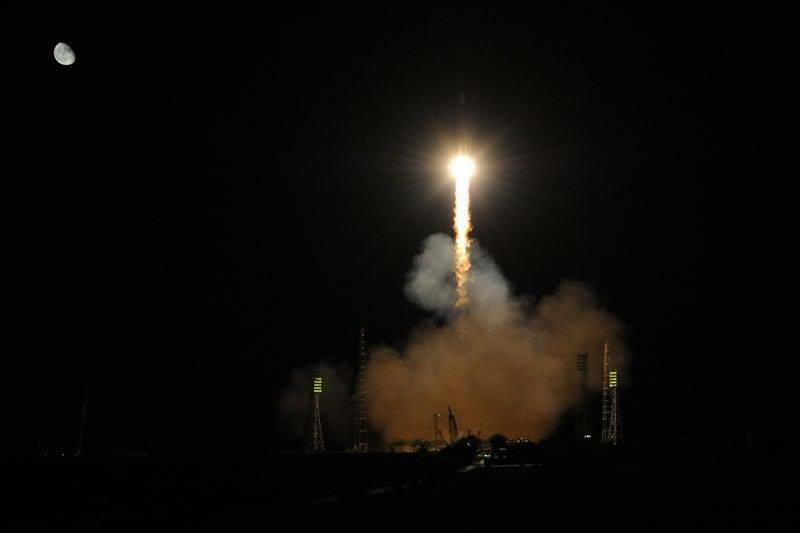 Progress M-29M lifted off from the Baikonur Cosmodrome in Kazakhstan at 12:49 p.m. EDT (16:49 UTC, 22:49 local time), beginning what ground controllers affectionately refer to as the "six-hour schlep." 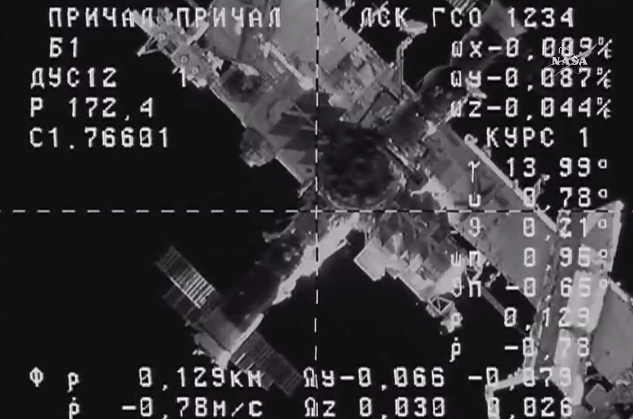 The spacecraft made it to the station without a hitch, pulling into port at the Zvezda module's aft segment at 6:52 p.m. EDT. 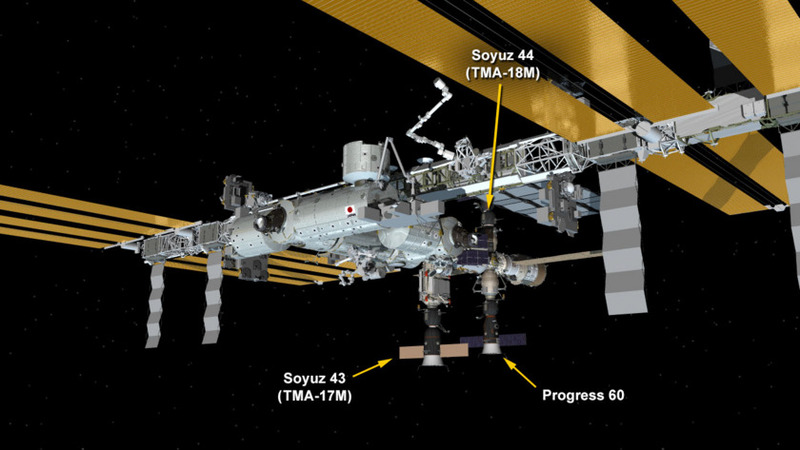 The Progress spacecraft's arrival caps a busy week of Station cargo shuffling. On Monday, Japanese Exploration Aerospace Agency (JAXA) astronaut Kimiya Yui, backed up by NASA's Kjell Lindgren, unberthed the Japanese ship Kounotori from the station. Kounotori, also known as H-II Transfer Vehicle HTV-5, floated away from the station's robotic arm as the station sailed over the South Pacific Ocean. A series of departure burns put it on course for a destructive reentry Tuesday. The cargo ship didn't go quietly, however. NASA and JAXA ran into an unspecified hitch during the first release attempt, but succeeded on the second try an orbit later. 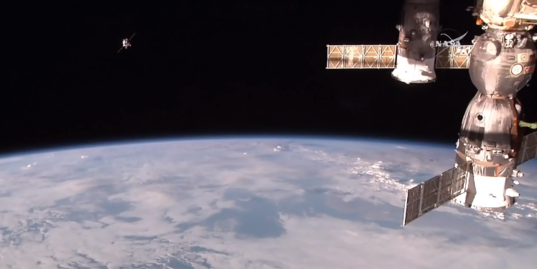 Expedition 45 commander Scott Kelly surmised the cargo ship just wasn't quite ready to leave. 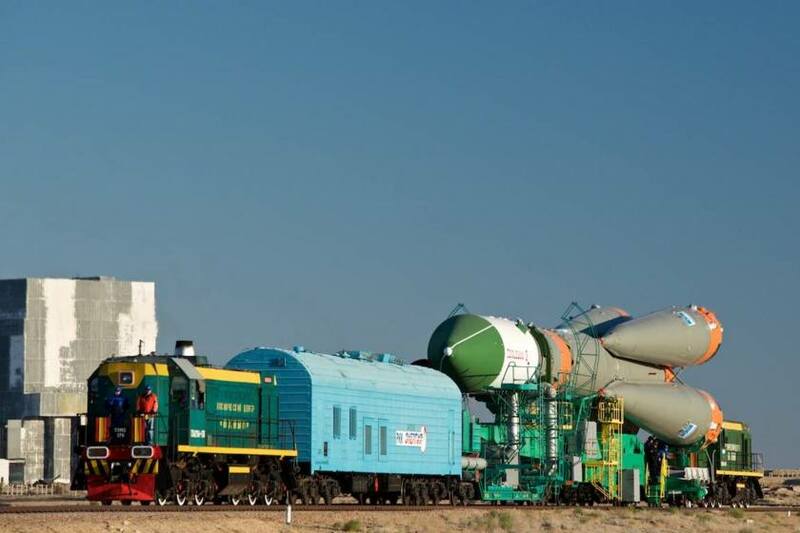 Meanwhile, on Oct. 9, Progress M-29M and its Soyuz carrier rocket were pulled by train out to the launch pad in Baikonur. The pad, known as "Gagarin's Start," served as the launch site for Yuri Gagarin, the first human in space, 54 years ago. Six hours later, Progress arrived at the ISS. It linked up flawlessly with the Russian Zvezda module, becoming the rear-most section of the station's habitable volume. The next scheduled station launch is another Progress flight in late November. A crew rotation is scheduled less than a month later, when NASA astronaut Tim Kopra, ESA astronaut Tim Peake and cosmonaut Yuri Malenchenko arrive on December 16. 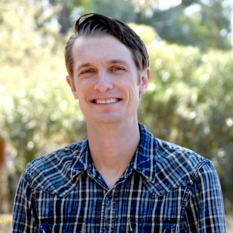 Kjell Lindgren, Kimiya Yui, and Oleg Kononenko depart December 22.